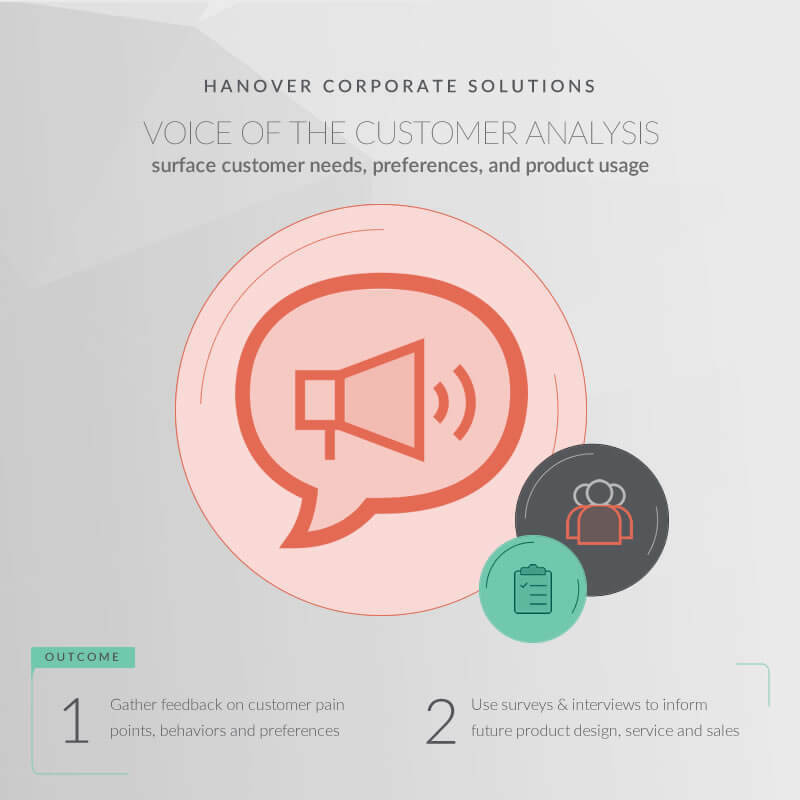 Hanover’s Customer Insights Solution defines key customer segments and highlights fundamental needs, preferences, and product feedback. 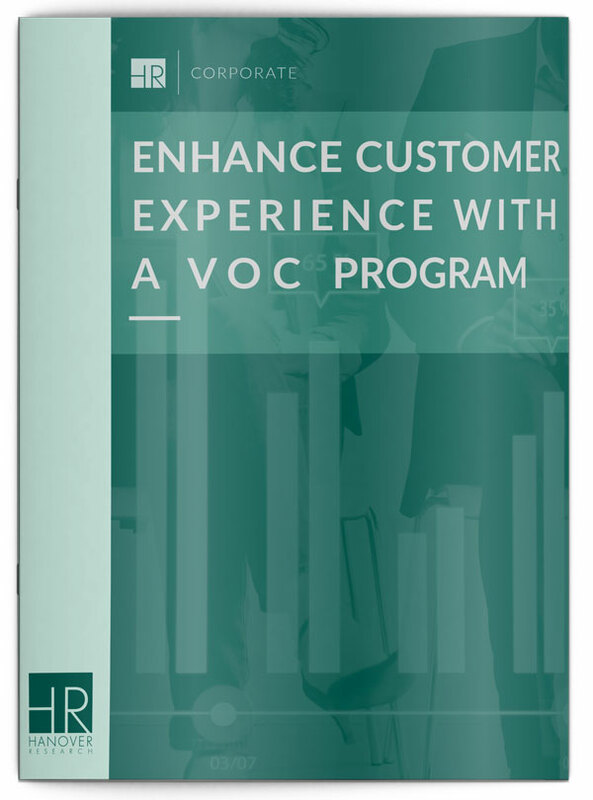 With a deep understanding of the elements driving customer behavior, you can gauge satisfaction and target efforts for improving experience. 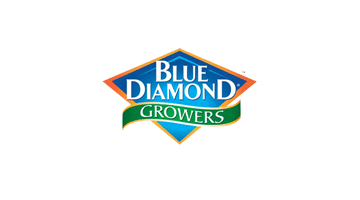 Which are our primary customer segments? 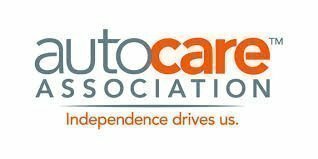 Are our products and services meeting our customer needs? What are the primary drivers of customer churn? 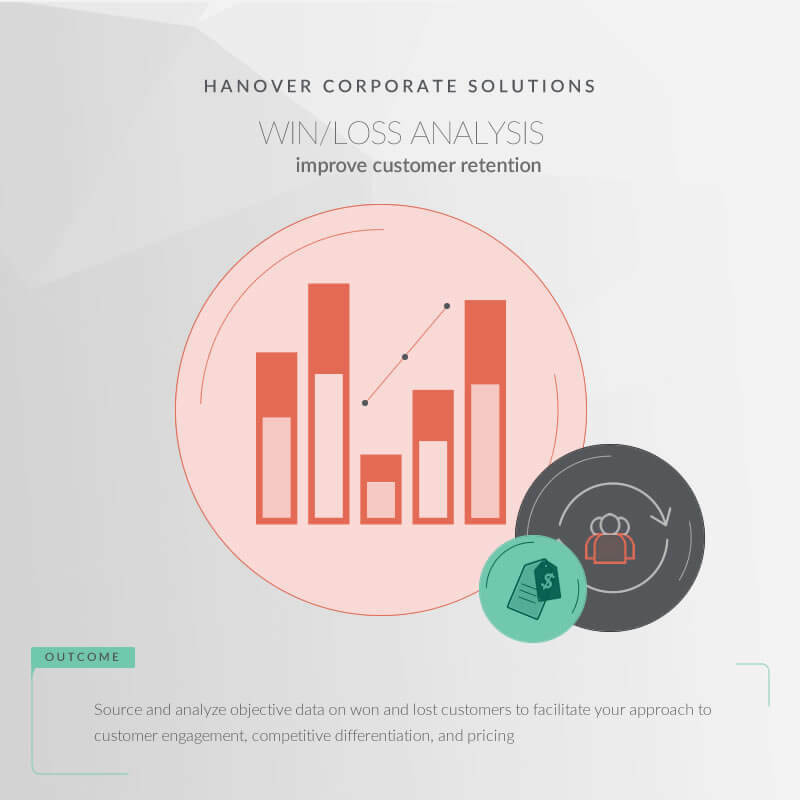 Hanover’s Customer Insights Solution will help companies craft and deliver a high-quality customer experience. 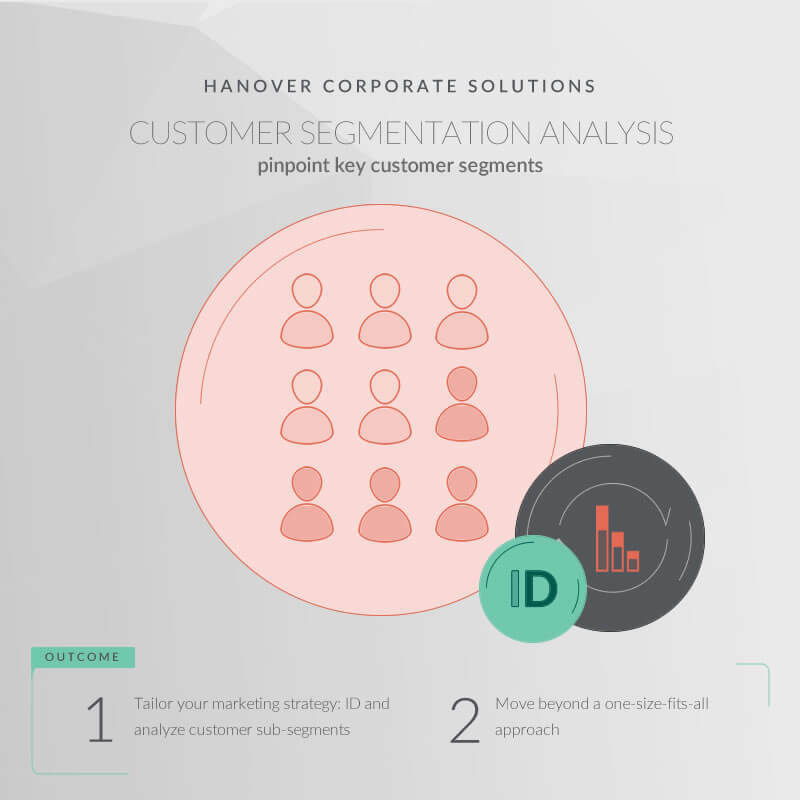 Tailor your marketing strategy by identifying and analyzing sub-segments in your customer base. 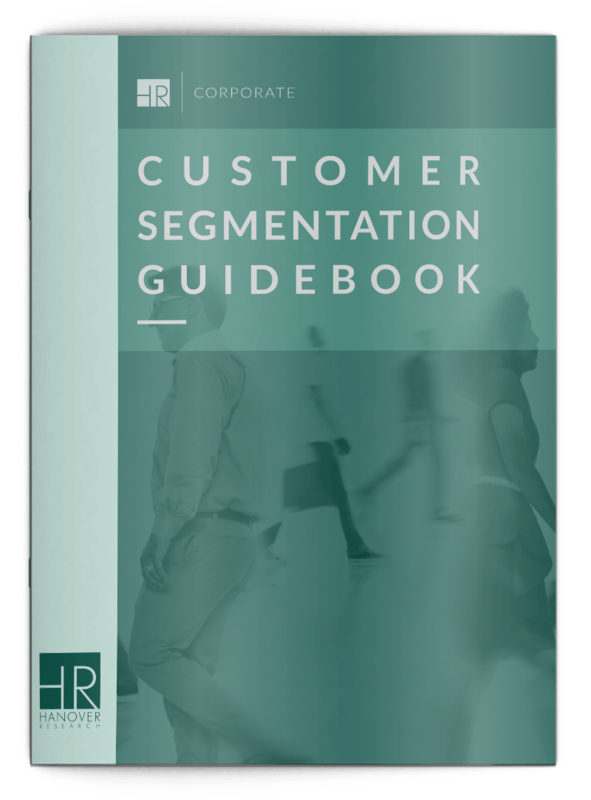 This next-level segmentation will enable you to move beyond a one-size-fits-all approach. 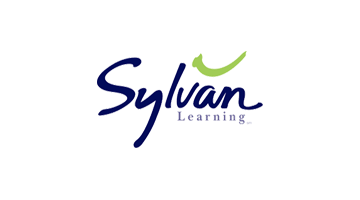 Gather feedback on your customer pain points, behaviors, and preferences with surveys or in-depth interviews to inform future product design, service, and sales. 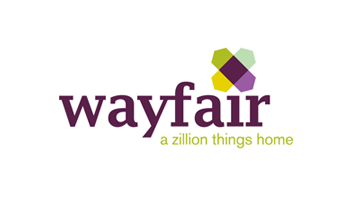 Source and analyze objective data on won and lost customers to facilitate your approach to customer engagement, competitive differentiation, and pricing.